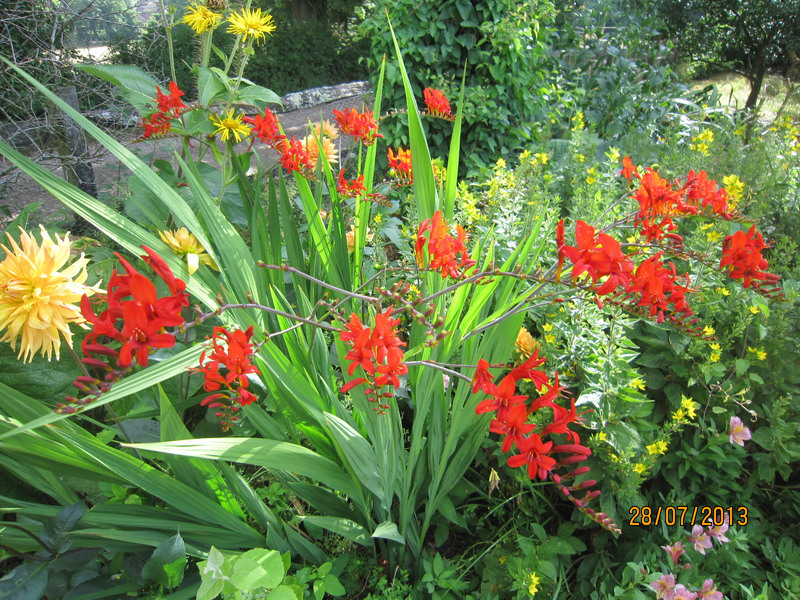 Interesting bulb plant having spikes of pendulous yellow flowers in summer.Requires a well drained site. 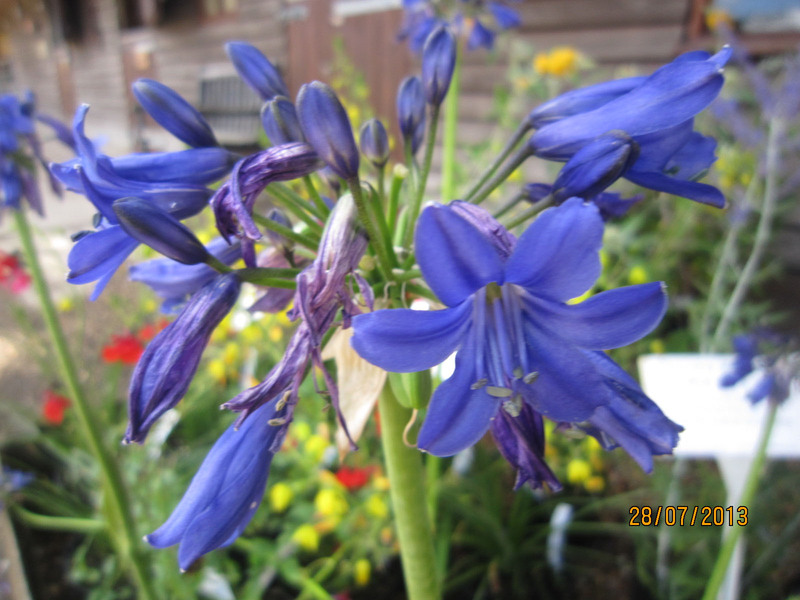 Strap-like lush green foliage and superb heads of rich blue flowers from July to September. A must for the herbaceous border. Spectacular aroid having huge pinnate leaves. 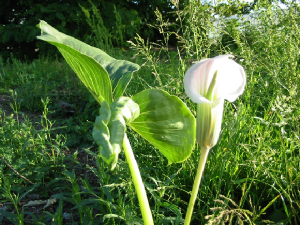 The large mauve spathes appear in early summer. Needs lifting in winter to a frost-free environment. Feathery,ferny foliage and lovely rich blue flowers borne in late spring. Hardy and easy to grow. Grassy foliage from which flowers appear of rich orange from May. Seeds itself successfully in free-draining alpine conditions. An attractive little plant having white flowers with a red spot above grassy foliage,inclined to seed and spread in well-drained conditions. 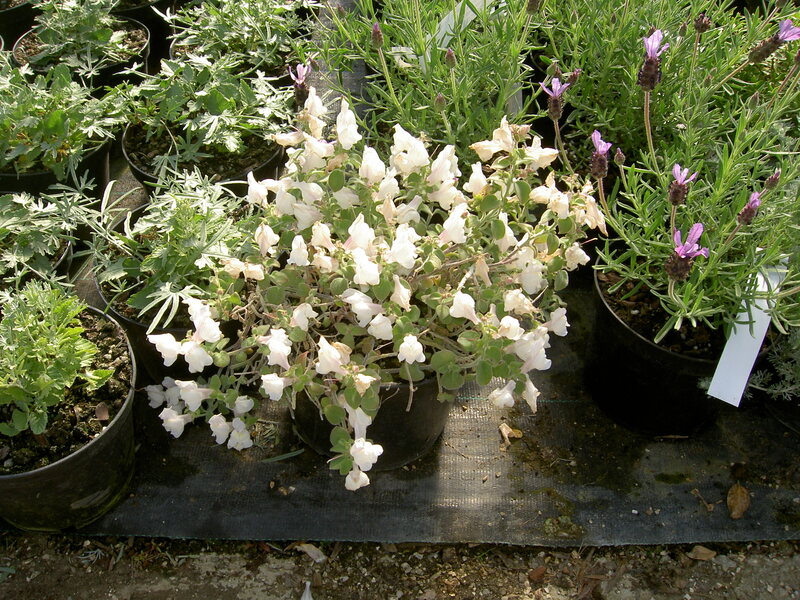 Perennial Antirrhinum has grey spreading foliage,white 'Snapdragon' flowers all summer.Sunny,well drained site. Tuberous perennial for a shady position. The large single red-margined leaf is divided into 3 distinct ovate leaflets . 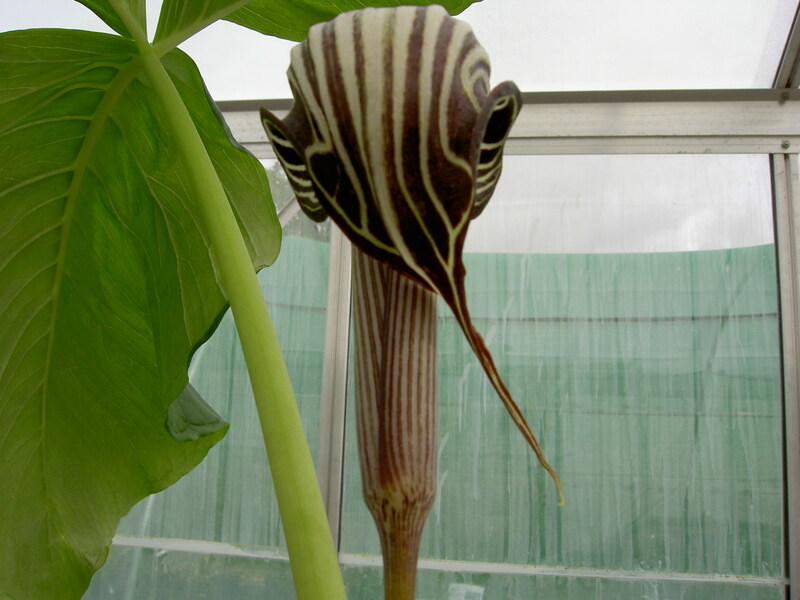 The hoode deep purple spathes have white stripes and are produced in earl summer. 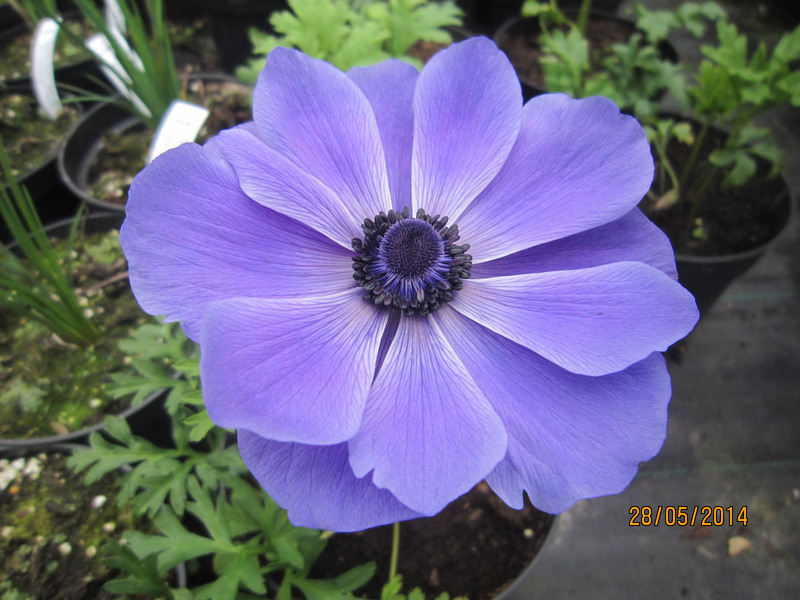 Very large glossy leaves,hooded spathes of purple striped white in May/June.Shade and well drained soil. Small aroid producing spathes of rich golden-yellow in May/June. Well-drained soil in shade. 'Montbretia'-like growth and this variety has flowers of deep orangey-red over a long period in summer. 'Angels Fishing Rods'. Tall,grass-like foliage and arching,flower spikes having pendulous racemes of graceful wine-red to deep purple flowers. Much sought-after herbaceous perennial. For 2018 we have a good range of Dierama in a variety of colours ranging from deep purple through deep and soft pink to almost pure white.